A fill-in bonanza designed for besties. Quizzes, tags, stickers, door hangers and more. Great mates need a place to celebrate their friendship. And this book is it! A place to share your scribbles and photos, spill your secrets and have fun with quizzes and fill-ins. 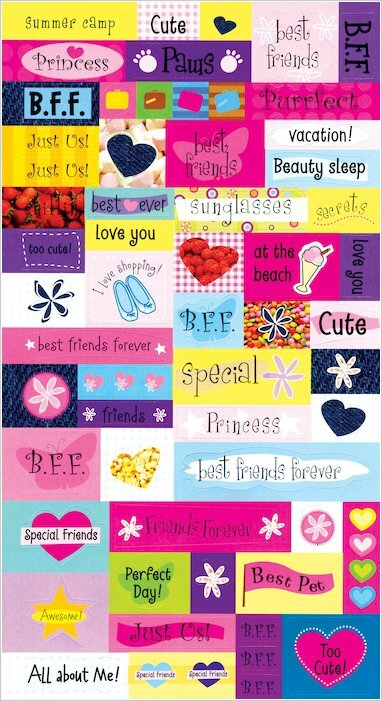 There are stickers, two press-out door hangers, activity ideas and friendship tags to decorate. If you’re a girl and you’ve got friends, you need one of these! defiantly getting lovely to share with best friends and I will be careful to give it to a best BEST friend as I have made that mistake before! this book looks amazing and i’m going to buy it hopefully. Do you not know where to put all your memories of you and your best friend having a good time together? 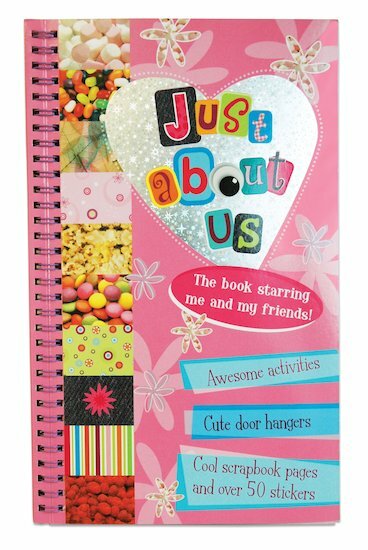 If you don’t then try Just About Us Scrapbook which is full of activities, stickers and lots of other creative stuff. 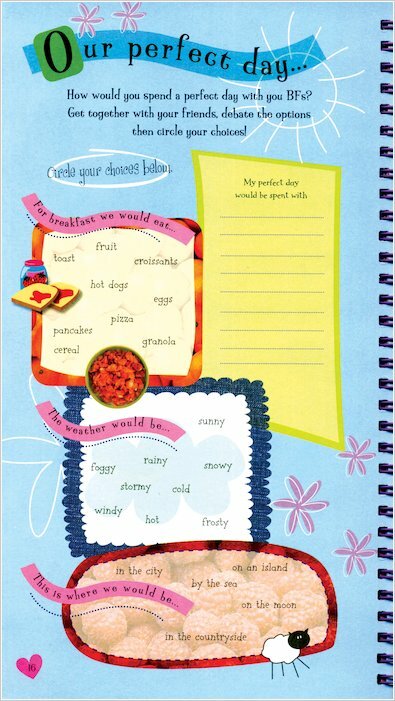 If you have a friend I say why don’t you give it a try and fill in all the pages! I would really like to have this book because it would be a great thing to share with my best friend. its really good, i hope the person that ordered it loves it! It really looks cool I’ve been waiting to find a book to share with my freinds with pics. i have one of those secret sharing books but not a scrapbook. Great book, you also get accesories with it! Really fun for friends, you can add your own information into the books, and stick your pictures in and create codes. Really fun and helps you get to know your friends better! Its good fun creative and keeps you going.